Step-by-step instructions on how to use the NetInstall service. Confirm that the two NetInstall images you created last week are in this folder. 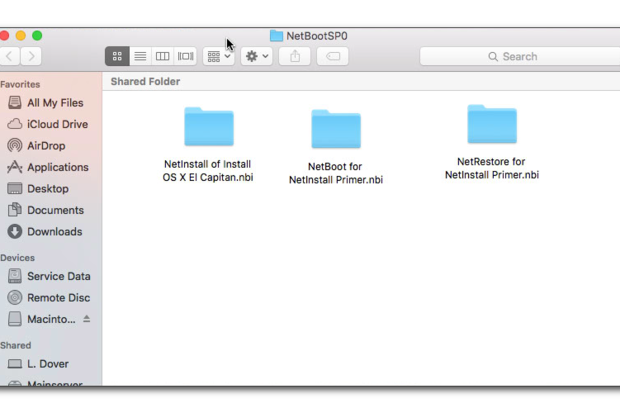 If these folders are not here, copy or move them from where you originally saved them to the NetBootSP0 folder. Next, let’s double-check and make sure that the NetInstall service is running and available on your network. 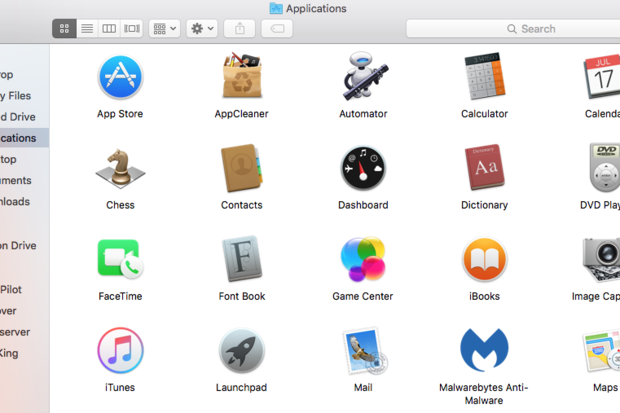 Open System Preferences on your client Mac. Click the Startup Disk preference. Click the lock in the lower left-hand corner of the Startup Disk preference. Verify that you can see all your NetInstall Images. If you don’t see your images, open the Server app and make sure the NetInstall Service is turned on. 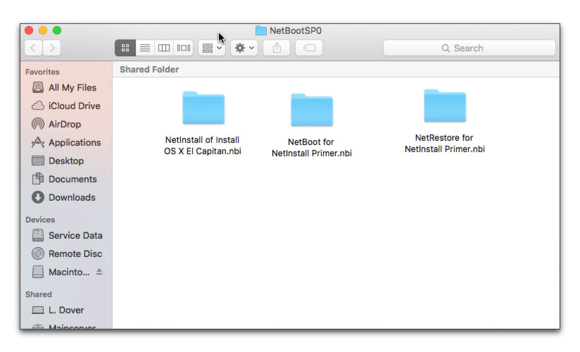 Note: Before we begin this section, it’s very important to understand the difference between a NetBoot and a NetRestore image. A NetBoot Image will make no changes to your local hard drive. Your operating system will be delivered to your Mac from your server and will be run over your network. 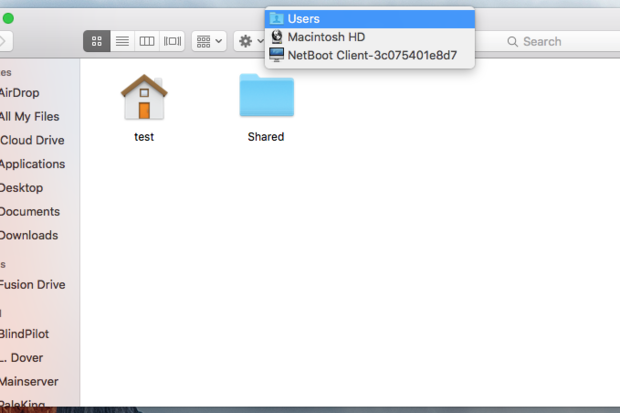 A NetRestore Image will wipe the contents of your hard drive and replace it with the contents of the NetRestore Image. If your client Mac is not a Mac that you have a backup of or which you can’t afford to lose the contents of, be very careful which image you select in the next exercise. A selection mistake will result in a compete loss of data. Restart your Mac while holding down the Option key. 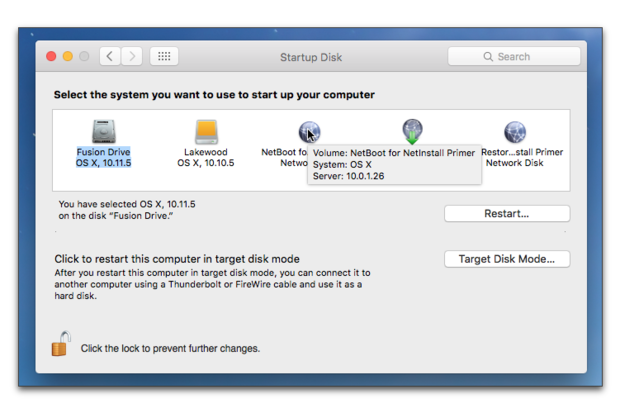 Holding down the Option key reveals all the drives, including NetInstall images, available for your Mac to startup from. Use the arrow keys to select your NetBoot image. Press the return key. You should now see an Apple logo with a spinning globe beneath it. This is your Mac letting you know that it is starting up from a NetInstall server. 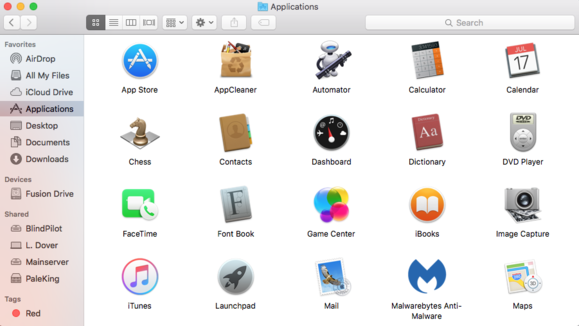 Because we created this image from a basic installation of the OS with a couple of apps added to your Applications folder, when your Mac completes the startup process you sill see the welcome screen you usually see when starting a new Mac for the very first time. Put a check in the Enable Location Services on this Mac. Select “Don’t sign in” at the Apple ID window. Create a new computer account and click Continue. You Mac will now create a new user account and log you in. Click Continue at Diagnostics & Usage and your settings will be finalized. Once you’re logged in, take a look around. Note that there is and icon for your hard drive in the upper right of your Desktop that has a globe on it. Double-click that icon and you see what looks like a normal disk with an installation of the Mac OS on it. 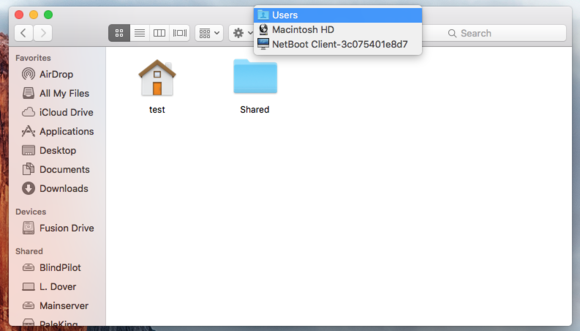 Command-click the title bar of that window and what you’ll see is the path to where that drive is located and you should note that it is called something like NetBoot Client-3c75401e8d7. Open each of the apps you installed. Open TextEdit, create a document and save it to your Desktop. Play around with other apps, then restart your computer, while holding down the Shift key. When the Startup Manager appears, re-select your NetBoot image. Note that your Mac starts up just like it did the first time, at the setup screen with no user accounts created. Walk through the setup process a second time and note that the TextEdit document you saved on the Desktop is no longer there. Very important: This will wipe the contents of the hard drive on the computer you perform this on. DO NOT do this unless you can afford to lose the entire contents of the hard drive on that computer. Restart your Mac and hold down the Option key. Choose your NetRestore image from the Startup Manager. Once the restore completes your Mac will restart to a fresh installation of the OS. Setup the computer following the steps from NetBoot section, above. Once you log in, note that the Macintosh HD volume no longer displays a globe. Command-click the title bar. Note that the path goes back to the internal hard drive on your Mac, not the network drive we saw in the previous section. Play around with apps like you did before. Save a text file on your Desktop. 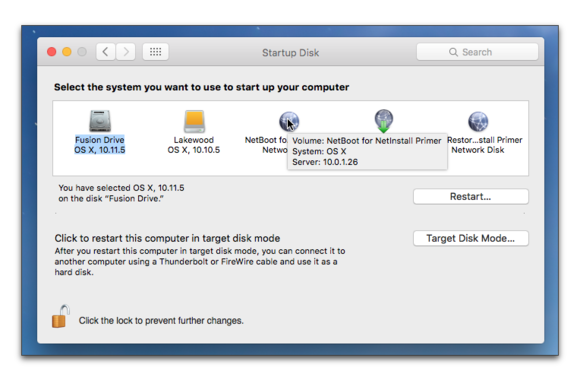 Restart your Mac normally and note that it starts as you’d expect it to, with the account you created in the previous steps. Next, we’ll look at some more simplex options for creating NetInstall images.